Planting and Maintaining trees near boundary walls, retaining walls, and your house should be carefully considered. If you have existing trees in these positions, they require extra maintenance. Why should trees not be planted too close to walls and homes? Trees have large root systems. The roots of the tree are essential for its aboveground growth. Roots gather nutrients from the ground and use them to allow the tree to grow and blossom. The average tree has one massive root that penetrates the ground vertically. It also has roots that spread horizontally. These horizontal roots are essential for keeping the tree upright. Without them, the tree would be susceptible to falling over during a strong wind. Top heavy trees need more roots to help them balance and keep them standing. The roots of a tree will grow underneath walls. As they do, they can disrupt the leveled ground and cause damage to a wall. The roots force the soil upward placing pressure on the wall. That’s why, if you’re planting new trees, you should plant them well away from walls and structures. They may seem harmless enough as saplings, but they are going to grow. Before planting a tree near a wall, make sure you know how big it will be when it’s mature. Trees should also not be planted too close to retaining walls as they can damage the structural integrity of such walls. This results in long-term damage that will need repairs. Felling trees should not be undertaken lightly. Trees are crucial for human and animal life on earth. If you have an existing tree planted near one of your walls, here are some tips to minimize the damage the roots may cause. A pruned tree doesn’t need a widespread root system to keep it balanced and upright. Keeping a tree pruned can reduce the amount of damage it can do underneath walls. Don’t allow trees near walls to get out of hand. They will encroach on a neighbor’s property, cause a retaining wall to collapse, or damage the roof and gutters of a house. Going in with an ax and chopping the roots of a tree to prevent it from damaging a wall is not necessarily the wisest option. Doing this only on one side of the tree places an enormous strain on the roots on the other side. The tree may become lopsided and fall over. Its weakened root system will make it vulnerable to uprooting. A fallen or uprooted tree can cause far more damage to walls than the growth of roots does. How will I know the best way to deal with invasive tree roots? 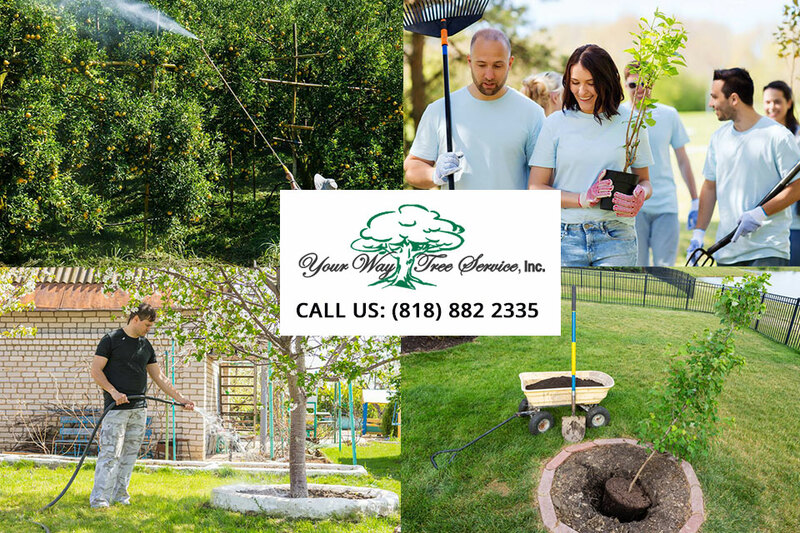 Call us on (818)888-9248 with any pruning questions you have. 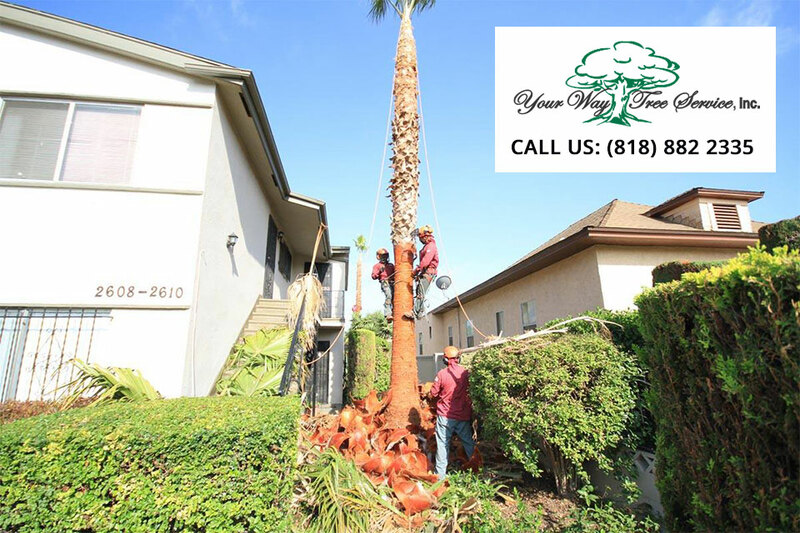 We’ll send a seasoned tree expert to your home to consult with you on the best course of action. Allow us to do the work for you to keep you, your walls, your home, and your family safe.